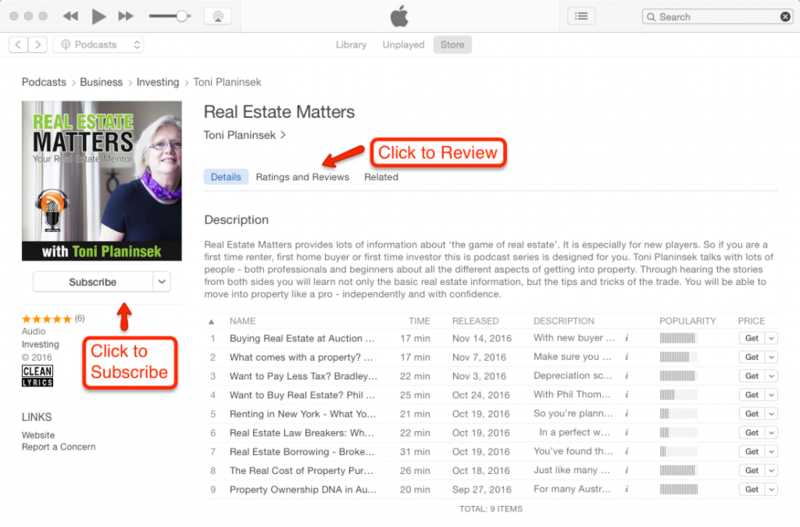 Thanks for being a Real Estate Matters Podcast listener. That makes me really happy! I appreciate it, and I look forward to sharing plenty of valuable information about investing, renting and buying real estate with you. My goal with this podcast is to help as many people as possible to get the information they need to make smart decisions on their real estate journey. With that in mind, I wonder if you can help me by giving me a review on iTunes. One of the main ways for me to get found and reach more listeners is by getting reviews. If you enjoyed the show, and you’d like to leave a review (or if still haven’t subscribed yet) you can do so at at iTunes or Stitcher.